I have a feeling Project Blackstone and the StarCraft 15th Anniversary are tied somehow. Out of the blue, I have seen Project Blackstone characters tweet several times throughout the day on the 25th, 26th, and today 27th. A few days ago, Cameron Dayton was upgraded to Senior Story Developer. On March 22, 2013, Blizzard Entertainment celebrated the 15th Anniversary early, last week, toasting and showering each other with dozens of bottles of champagne. Today, in Project Blackstone, protoss tools — acquired by the Terran Dominion and delivered to Project Blackstone — have gone missing. Strange things are happening lately at the top-secret research center. Somehow there is always the lingering hint that Jacob Ramsey is involved in these mysterious incidents. Recently Redell Quinton was framed for the disappearance of supplies that technically could be associated as materials for a alcohol distillery. Curiously, the same night Jacob Ramsey was found light-headed on the floor, and he was escorted to his quarters. Now it is Protoss tools missing. The flavor dialogue seems to hint at Jacob Ramsey being involved. He did never reply Leah’s question if he knew where the tools were — unless Jake’s insinuated involvement in the incidents have been a deliberate red herring all along, and instead there is more than meets the eye going on. Recently, I theorized two ways how Redell could have been framed: mind-control, or computer log hacking. Ramsey seems to have developed telepathy, but new story entries indicate he’s not fully aware of it. So far, Dr. Jacob Ramsey mainly listens to mental distress-related thoughts from the protoss captive within Project Blackstone, or from fellow workers. That leaves the computer hacking and the mysterious incidents open to a potential character involved: Lio Travski. That hasn’t been proven correct nor wrong. The mystery continues. Today’s Project Blackstone Twitter entries reveal more exciting things. The true identity of @LeahAMartine — right under our very noses these past month and a half. In this story, you will see Dr. Jake Ramsey, Xenobiologist Dr. Leah A. Martine, and Xenobiologist Senior Protoss Specialist Dr. Warren Held. Dr. Warren Held: @LeahAMartine I’ve asked you before not to touch my hagedorn needles. There will not be a third reminder, doctor. Dr. Leah A. Martine: @WarrenGHeld I’m sorry, Dr. Held. I don’t know what you’re talking about. Are your tools missing? Dr. Warren Held: @LeahAMartine You know damn well what I’m talking about. Dr. Leah A. Martine: @WarrenGHeld Again, my apologies. Weren’t you the last one in the lab? How could I possibly have moved them? Dr. Warren Held: @LeahAMartine They don’t move on their own, Martine! I left them on the operating tray. You must have moved them. Where are they? Dr. Leah A. Martine: @JakeJRamsey Dr. Held is looking for the hagedorn needles from our procedure earlier today. Any chance you’ve seen where they went? Dr. Jake Ramsey: @LeahAMartine How do you do it, Dr. Martine? Dr. Leah A. Martine: @JakeJRamsey Do… what? Dr. Jake Ramsey: @LeahAMartine Distance yourself from the fact that the materials you’re poking and prodding once belonged to sentient beings. Dr. Jake Ramsey: @LeahAMartine Beings who never had a choice whether they would become subjects to your experiments. Dr. Leah A. Martine: @JakeJRamsey My experiments? You do just as much work here as I do. Dr. Jake Ramsey: @LeahAMartine Because I have to, not because I want to. Dr. Leah A. Martine: @JakeJRamsey Your outrage is misplaced. 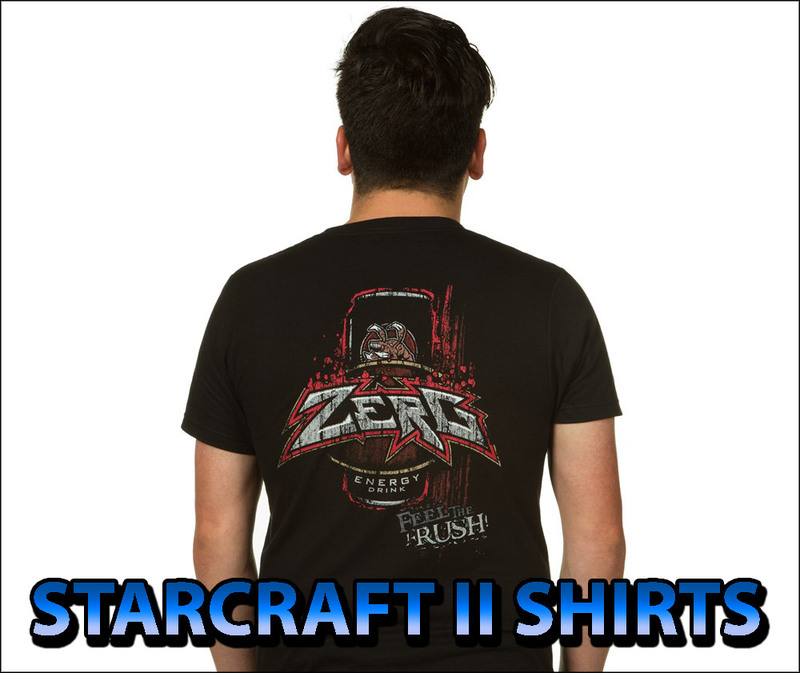 The materials we’re working with came from protoss who were already dying or dead. Dr. Leah A. Martine: @JakeJRamsey I’m doing this so that your “friends” didn’t die in vain. But judge away. Moral superiority must feel good. Dr. Jake Ramsey: @LeahAMartine I’m sorry. I’ve been on edge a bit lately. Dr. Leah A. Martine: @JakeJRamsey Living here isn’t any easier for me because I’m a willing part of the Dominion. Dr. Jake Ramsey: @LeahAMartine Point taken. Dr. Leah A. Martine: @JakeJRamsey Ok, this is odd. The nerve cord samples we collected this morning are gone. Did Dr. Held take them when he stormed out? Dr. Jake Ramsey: @LeahAMartine I’m not sure, but that wouldn’t be a surprise. Held isn’t much for consulting me on what he does. Dr. Leah A. Martine: @JakeJRamsey He’s destroyed them. DESTROYED them. Dr. Jake Ramsey: @LeahAMartine Slow down. Destroyed what? Dr. Leah A. Martine: @JakeJRamsey The samples. Dr. Held incinerated them. Too dangerous, he said, and plenty of other tissue to study. I can’t believe it. Dr. Jake Ramsey: @LeahAMartine You’re surprised? Everything—everyone—is disposable to Held. Dr. Leah A. Martine: @JakeJRamsey Do you know how rare it is for us to find a dead protoss? Dr. Leah A. Martine: @JakeJRamsey Usable nerve cord tissue is especially precious. So many things we still don’t understand about telepathy. Dr. Jake Ramsey: @LeahAMartine I know. But you can’t let Held get under your skin like this. Dr. Leah A. Martine: @JakeJRamsey We sacrifice everything to become ghosts. Our memories, our freedom. Too often, our sanity. Dr. Jake Ramsey: @LeahAMartine Winlaleah, stop. Dr. Leah A. Martine: @JakeJRamsey You hard-shells, what do you care? But you owe us. Dr. Jake Ramsey: @LeahAMartine Stop. Dr. Leah A. Martine: @JakeJRamsey Damn it. Can’t do this. Sorry. Dr. Jake Ramsey: @LeahAMartine Screaming. Dr. Leah A. Martine: @JakeJRamsey Are you alright? Please respond. Dr. Leah A. Martine: @JakeJRamsey Dr. Ramsey? Dr. Jake Ramsey: @LeahAMartine I blacked out. I could hear your screams. I could feel them. Dr. Leah A. Martine: @JakeJRamsey Impossible. I wasn’t directing that at you, and you’re no telepath. Dr. Leah A. Martine: @JakeJRamsey How did you know my full name? I haven’t told anyone here. Dr. Jake Ramsey: @LeahAMartine I just knew. It was already there, in my head. As read, Jacob Ramsey’s brain seems to be slowly developing into telepathy after his brief experience with the protoss preserver Zamara. Her mind merged with his, granting him access to the memories of every protoss who ever lived, and access to the Khala. I recommend to those who havent yet read the StarCraft: Dark Templar trilogy by Christie Golden to do so. Dr. Jake Ramsey debuted in that trilogy. This is why StarCraft lore fans are excited to see him again in Project Blackstone, and why we think there is more to this story than just a real-time transmedia novela. We can’t yet figure out what it is. It was not a Heart of the Swarm promotional, it was not a PAX East promotional, and it likely isn’t a 15th Anniversary promotional. Cameron Dayton said on Twitter this story took two years in the making. I am seriously considering Project Blackstone is leading to an announcement at BlizzCon 2013 (November 8-9). Two years of development is too long a time for a free recreational story that is not tied to a upcoming video game. If you haven’t played Heart of the Swarm yet, there is no mention of Project Blackstone, and none of the characters make a cameo. If StarCraft: Ghost returned sooner than later, we have to agree it won’t have the same Terrazine plot as the Nihilistic iteration, but a more up-to-date plot based on the StarCraft II trilogy episodes. As Eroldren mentioned below in the comments, there was yet another awesome discovery in this Project Blackstone entry. Dr. Leah A. Martine is actually Winlaleah Martine. She was member of Team Red in the Tokyopop manga titled StarCraft: Ghost Academy by Keith R.A. DeCandido. The digital version of Volume 1 can be downloaded from Cryptozoic Entertainment. Team Red and Team Blue were among the best ghost trainees. Nova Terra (StarCraft: Ghost) was on Team Blue. You can read more about Winlaleah at StarCraft.Wikia. Go to twitter, and create a new LIST. Title it as “Project Blackstone Crew”. Add all of the Project Blackstone characters to the LIST by visiting their page and clicking the arrow (located left of the “Follow” button) and choosing “Add or Remove from List”. Then check mark “Project Blackstone Crew”.